With the release of Lightning only months away, a huge interest has developed for this well sought after monitor. 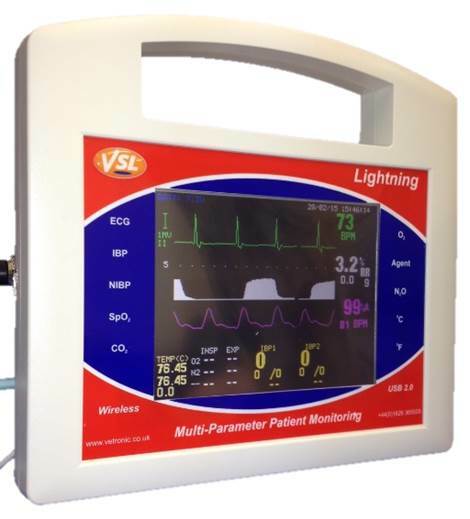 The new VitalMonitor software is also proving to be a hit. Having taken our newest monitor to BSAVA 2015, it is safe to say that the interest levels for this multi monitor have rocketed ever since. With the aim of release for Summer 2015, the Lightning will have all the abilities of the VitalStore and Sentinel units combined. This, a long with the new software we presented at the show, will provide the easiest and best solution to all your monitoring needs. We plan to have more details in the coming months, so please do give us a call to register your interest in the machine.